for an exclusively curated 3-day Bourbon Trail Experience. 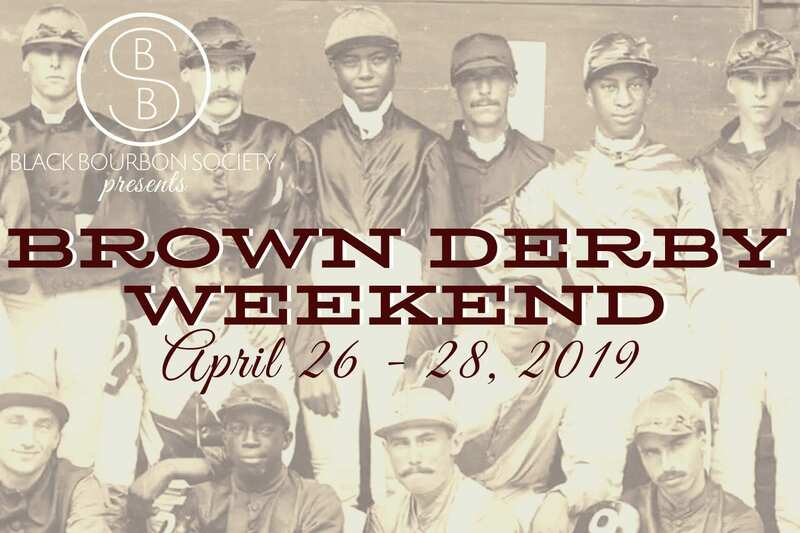 Please join Black Bourbon Society for Brown Derby Weekend – an exclusive 3-day Bourbon Trail and Derbyesque experience in Kentucky! This ultra premium excursion features private tastings and rare behind-the-scenes tours at Jim Beam Urban Stillhouse, Woodford Reserve Distillery, and Buffalo Trace Distillery. It also includes a Derby Kick-off experience at Churchill Downs and a curated bourbon brunch honoring the long but forgotten history of the Black Jockeys. Join us for an unforgettable weekend and bring a suitcase large enough to take home all of your rare bourbon finds and swag! Cheers! Check in to the Aloft Downtown Louisville Hotel where you will be greeted with the classic Brown Derby Cocktail and BBS Exclusive Excursions welcome bag. We will then shuttle over to the Jim Beam Urban Stillhouse for an exclusive tasting of their premium small batch collection and then ‘mixup’ our own Jim Beam cocktails for a unique happy hour experience. Dinner is on your own at Louisville’s hottest tourist attraction, 4th Street Live, or you can join us for two add-on experiences: Dinner with the Founder, Samara Rivers, at Brendan’s Catch 23 or cross the Ohio River for ‘Sips & Sticks’ at MATCH Cigar Bar. Jump on board a luxury shuttle bus to visit our first distillery experience at Woodford Reserve. Master Distiller, Chris Morris will guide us through a behind the scenes tour, a rare visit to the top floors of the rick house, and a special tasting of Woodford Reserve’s amazing products. Woodford Reserve’s Executive Chef, will create a delicious lunch for us before boarding the bus to our next stop, Buffalo Trace! At Buffalo Trace, we will also receive a behind the scenes tour given by a very special host. We will do a private tasting and get a rare sneak peak at their newest barrel warehouse construction, Whiskey Farm. We’ll spend some time in their gift shop before board the shuttle back to Louisville for a bit of R&R before our evening event. The day will end with a Derbyesque evening at Opening Night at Churchill Downs! We will take our official group photo before transporting over to Churchill Downs for an evening of mint juleps and horse racing. Be sure to dress in your finest derby attire – hats for ladies; bowties for men! Our final event of the weekend will culminate with Black Bourbon Society’s Black Jockey Brunch. This boozy brunch will also be open to local Black Bourbon Society members and the general public. It will feature a curated brunch menu paired with specialty cocktails, a tribute to highlight the contributions Black Jockeys have made to the Kentucky Derby and the horse racing industry, and more. Sunday Chic attire is strongly suggested. After the brunch, we will bid farewell. Join us for one more add-on experience, A shopping trip to Westport Whiskey and Wine, or explore Louisville on your own before heading back home. 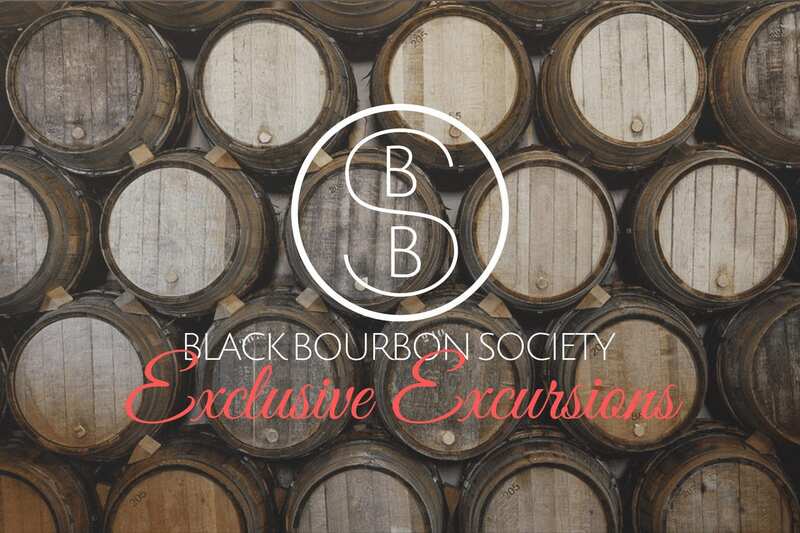 Black Bourbon Society bridges the gap between the spirits industry and African American bourbon enthusiasts through our social media platforms, brand-partnered events and exclusive excursions. We challenge traditional direct consumer marketing standards by curating experiences that genuinely engage our unique demographic, and advocate for diversity and inclusion through speaking engagements and consulting within the spirits industry. Black Bourbon Society is a tiered membership organization open to everyone who enjoys premium spirits and is interested in gaining a deeper appreciation for America’s Native Spirit. Black Bourbon Society is crafting a movement that showcases the value of the niche lifestyle and sophisticated palates within the African American Community and beyond. © 2017-2019 Up in the Air Life.